Here is a great introduction to the remarkable mind of Shigeo Shingo, indisputably one of the great forces in manufacturing. In this book Dr. Shingo describes his approach to manufacturing improvements, developed and refined over the course of a brilliant career. He called it the Scientific Thinking Mechanism (STM). 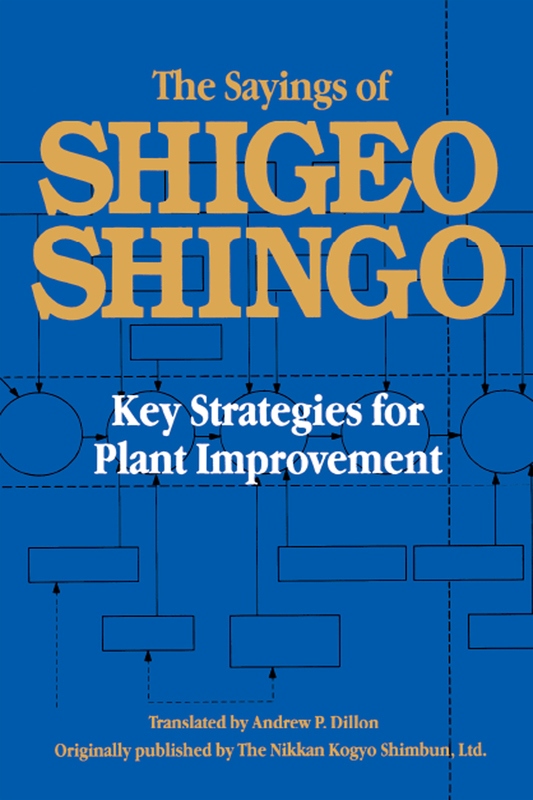 The Sayings of Shigeo Shingo is must reading for plant managers and engineers. It formalizes the powerful and creative way of thinking that Shingo himself used time and again to overcome problems that seemed virtually insurmountable.